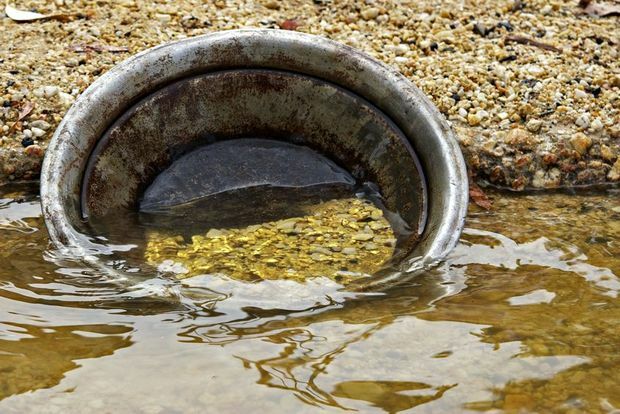 The Solomon Islands Government says it is planning to reopen the gold mine that was sold to local landowners by an Australian miner in 2015 for $100. Mining company St Barbara controversially sold its legal liability in the mine to local landowner company Goldridge Community Investment. The Solomon Islands Government said it was now negotiating with landowners and an investor — Australian-based Chinese property developer AXF Group. A statement on the company’s website said AXF had partnered with Goldridge Community Investment, “and aims to repair, refurbish and upgrade the Gold Ridge plant to bring it back into operation”. The mine on central Guadalcanal, south-east of the capital Honiara, was closed after severe flooding in 2014. Since then, there have been constant concerns over the risk posed to public safety by the threat of toxic water overflowing from the tailings dam. Shortly after St Barbara sold the mine, the Solomon Islands Government declared it a disaster area when a tropical cyclone filled the dam to capacity. In 2016, after an “uncontrolled release” of untreated water from the mine’s tailings dam, Solomon Islands health authorities warned villagers living downstream not to use river water because it could be contaminated by arsenic. 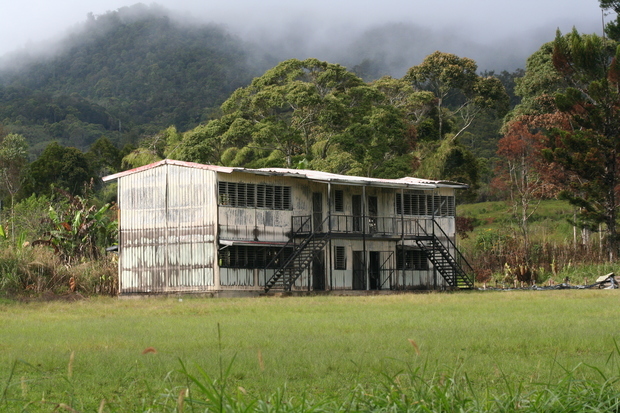 Gold Ridge gold mine in Solomon Islands has had a chequered history. The Government said in a statement it now hoped the mine would be reopened “as soon as is practically possible”. 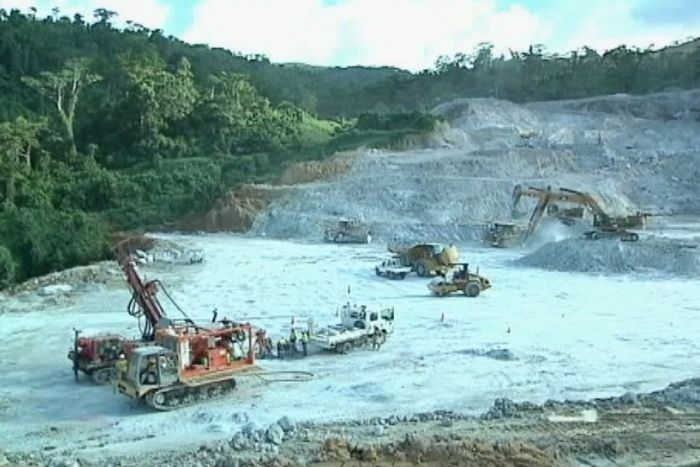 Prime Minister Manasseh Sogavare’s chief of staff, Robson Djokovic, told the ABC’s Pacific Beat program there were still risks associated with the mine reopening, but they were being addressed. “There are procedures and systems that have been developed … to ensure the highest standards of safety are met to avoid any potential hazards or risks,” Mr Djokovic said. “Of course, not everybody is going to agree. We understand the reality of those who might object. The chairman of the landowner company, Walton Naezon, said local landholders did not oppose the Government’s push to reopen the mine. But he told Pacific Beat it would take time. “We’re trying to restructure and rehabilitate an old mine which has gone, run down almost 100 per cent,” he said. “We are going to look at all the aspects of environment issues [and] we are going to make sure that our foreign partners are listening to us. Chan made the assurance in Parliament on Friday when asked by Usino-Bundi MP, Anton Yagama. Yagama said since the project began, tons in mineral exports have left their shores at Basamuk, however, to this date there has been no royalty. He also queried when the outstanding K10 million would be paid to the landowners. Chan said the Mineral Resources Authority (MRA) and project developers, Metallurgical Company of China (MCC), had recently agreed to pay landowners royalties. Oil and gas companies Oil Search and ExxonMobil have surrendered one of their petroleum prospective licenses, or PPLs, in Papua New Guinea. 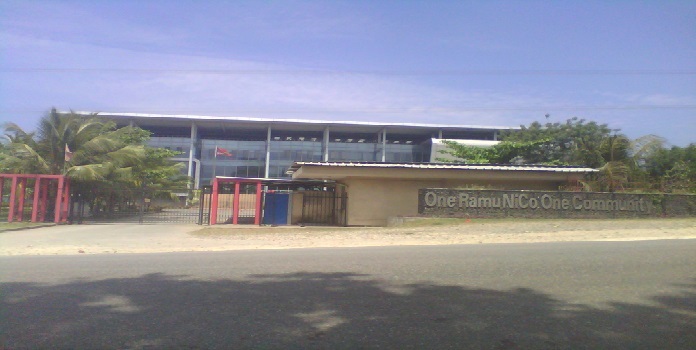 PNG Industry news reports that the pair paid US$15 million for the remote licence in 2012, and had offered further payments and royalties based on success. However, the difficulties associated with exploration in the Highlands, the recent dry wells at Strickland and other factors have reduced the attractiveness of the block, known as PPL 277. As partners in PNG’s major LNG Project, the two companies already have rights to various energy resources in the Highlands region, including the all important Hides gas fields just west of PPL 277. Nga Rauru Kitahi general manager Anne-Marie Broughton compared the hearing locations to tactics employed against Maori in the 1800s. Hearings which will decide whether a company can mine the seabed off the coast of Taranaki will only be held in two locations – to the outrage of opposition groups. 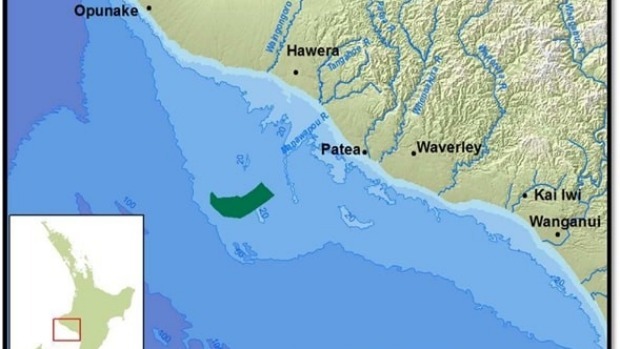 Trans Tasman Resources has applied for the second time in as many years to mine ore from sand 36 kilometres off the coast of Patea. A previous, similar application was denied in 2014. 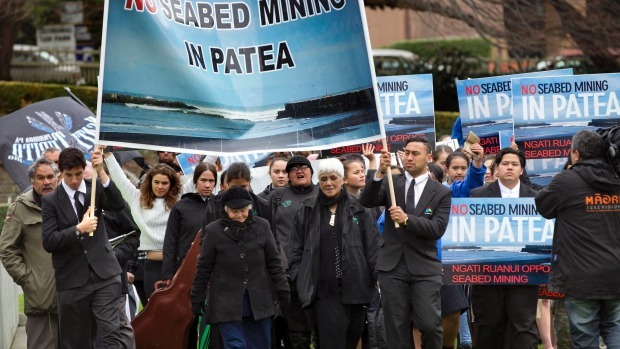 The Environmental Protection Authority will host hearings in New Plymouth and Wellington in mid-February, but Kiwis Against Seabed Mining (Kasm) is arguing that opposition to the mining is far more widespread and hearing locations should be tailored to reflect that. Nagti Ruanui, the other iwi whose territory TTR has applied to mine iron sand in, protested at parliament in late 2016. “When the authority held their hearings last time around there were hearings in Hamilton and Whanganui so people all over the country could at least make one,” Kasm’s secretary Cindy Baxter said. Baxter said of the more than 4000 people that submitted through Kasm, 118 were in Raglan, 65 in Auckland, 38 in Whanganui and 26 in New Plymouth. “Where they’re holding hearings doesn’t reflect where the majority of submissions are coming from,” she said. The 66 square kilometres off the South Taranaki coast where Trans Tasman Resources have applied to mine iron ore.
As for why people from all over the country have submitted against TTR and want to be heard at the hearings, Baxter said it was the precedent the proposed mining activity would set. “It’s the black sand that links us,” she said. Kasm estimated that more than 17,000 people had submitted against TTR’s latest application, a number later confirmed by the Environmental Protection Authority as 13,733 total submissions – with those for and against yet to be confirmed. This was the highest number of submissions the EPA has ever received on any application since it was established in 2011. The second highest being 4850 submissions on TTR’s similar application in 2014. It’s not just Kasm that is unhappy with the decision. 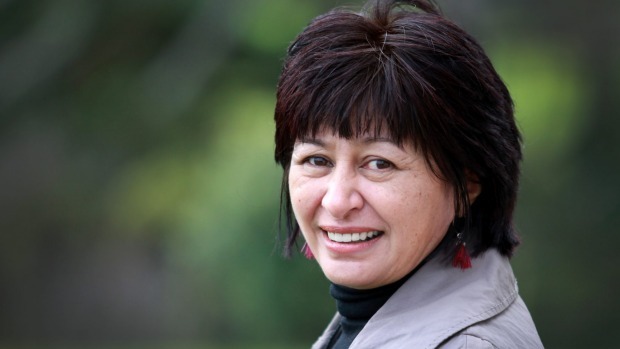 Nga Rauru Kitahi – one of the iwi which TTR’s proposed mining activities will affect – has said the decision to not hold hearings within the territory of tangata whenua was “appalling”. “It’s a serious insult to not hold hearings on one of Ngati Ruanui or Nga Rauru Kitahi marae or at an absolute minimum, within one of our rohe (territory),” Nga Rauru Kitahi’s general manager Anne-Marie Broughton said. She compared the the decision to “behaviour deployed on Maori in the 1800s when the Native Land Court convened sittings regarding Maori land in distant locations creating barriers of time and cost to owners”. Broughton said it was appalling that this behaviour was continuing in 2017. The hearing will begin in the Member’s Lounge in Westpac Stadium, Wellington, at 9am on February 16. Dates and times for the New Plymouth hearings have yet to be confirmed. 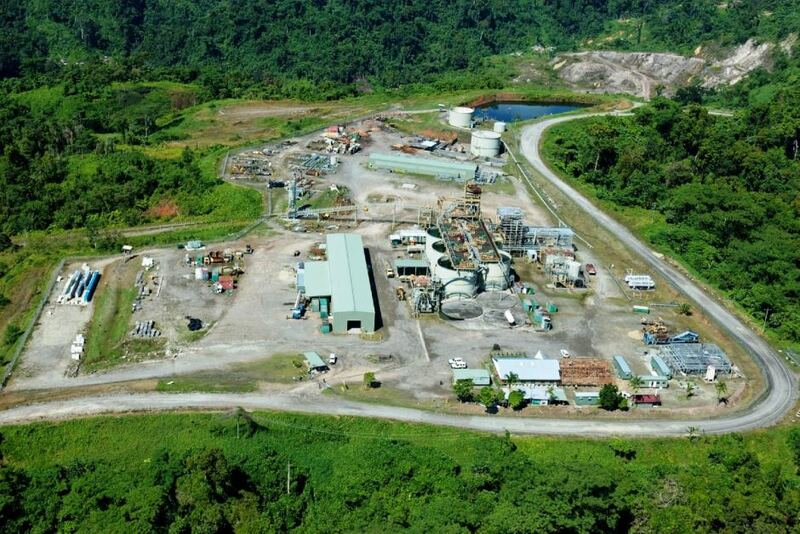 The mining lease for a closed gold mine in Solomon Islands is being reinstated by the government after having been cancelled by the mines minister last year. A government statement said the relevant framework for the Gold Ridge mine to reopen was being finalised. But the chairperson of the customary land-owning company, Gold Ridge Community Investments Ltd, which is the minority shareholder in the mine, said this basically referred to cancelled mining lease. Walton Naezon said the majority shareholder, the Chinese-owned AXF Group, wanted to begin reconstruction of the mine in early February provided the lease has been reinstated. He said it was projected that the cost of bringing the mine back into production would be between $US80 and 90 million. 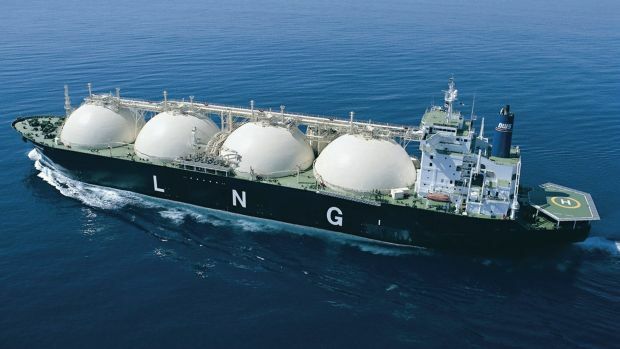 THE building up of illegal firearms at the Exxon-Mobil LNG project sites in Hela Province is alarming and leaders have raised concerns that it might affect the LNG project. Hela Governor, Francis Potape when welcoming the police and PNGDF soldiers said there are alot of illegal firearms that are building up at the projects sites and security forces, leaders and the people have to work together to curb the building up of illegal weapons at the project sites and the whole of Hela Province. He said the amount of illegal firearms at the projects sites is alarming and can affect the LNG project. “The amount of firearms at the LNG project sites is alarming and has the potential to affect the PNG LNG Project in Hela,” Mr Potape said. He said the ‘call-out’ in the province is very important and urged leaders not to politicise the whole operations but let the security forces carry out what they are assigned to do. “We don’t want the call out to be involved with the politics of Hela leaders and politicians in the province. The outcome of the security operation must be police and soldiers driven and not politics,” Mr Potape said. He said the people of Hela want the operation to be successful and the end result must be positive. “We don’t want a third call out in the province. If this operation fails, I don’t think the third operation would work out for the province.” Mr Potape said. LNG security callout: a holiday for Hela’s warlords? Late last month, 300 police and military personnel were deployed to Hela, which is home to the lucrative LNG gas project, after months of tribal fighting and a build-up of high-powered firearms. 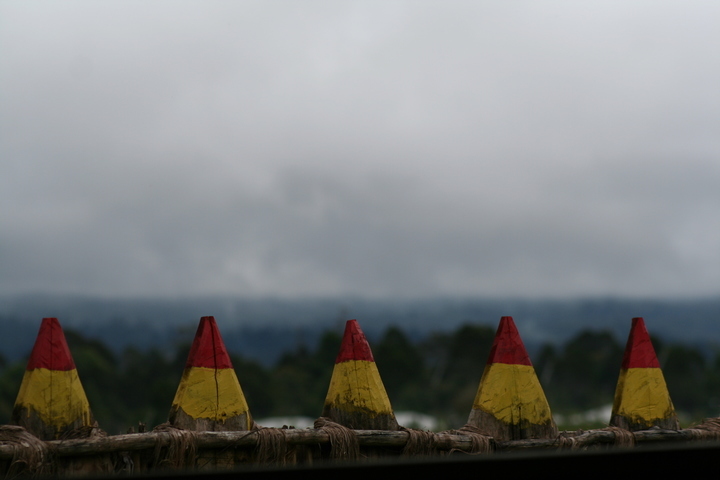 There are warnings that a major security forces callout to Papua New Guinea’s Hela province will not provide a long-term solution to ongoing tribal fighting. Dozens of people are understood to have died last year in fighting and lawlessness which has been particularly bad around Hela’s capital Tari. Since the callout, police have been on a province-wide drive to collect illegal firearms in Hela, with an amnesty is in place for tribes to surrender their guns by the end of February. The proliferation of high-powered guns in the region is not a new concern, but remains a concern for the operations of the ExxonMobil-led LNG project. Deputy governor of Hela Thomas Potabe said that since the callout, fighting had largely cooled off. “Now the province is quiet and we have almost 300 police and soldiers on the ground, so I don’t think we will get big fighting like before we did,” he said. However there’s scepticism from NGO worker James Komengi, who has worked with facilitating mediation between warring tribes since 2008. He said merely taking some guns out of the equation would not help in the long term because tribal fighting was entrenched in Hela as a result of the lack of public services and development. 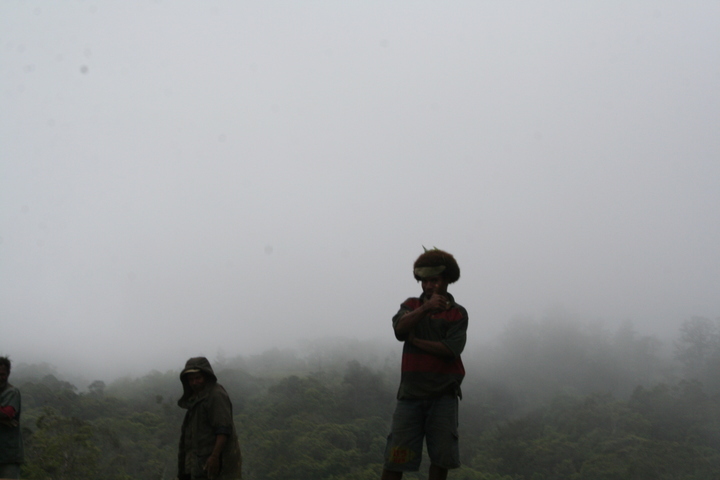 The Highlands’ warring tribes have a source of illicit firearms trade which they can tap, along the border with Indonesia – both via Indonesian military and West Papuan tribes. In Mr Komengi’s view, warlords could easily seek more weapons if they felt exposed. “We are giving a holiday to the warlords,” Mr Komengi said of the current callout. For others, addressing the lawlessness and fighting is a question of leadership. A Hela community leader, George Tagobe, said local police had the resources to deal with fighting before a callout was needed, but that direction was lacking. “Our leaders, when they are in there, when they show their presence in the area where the fighting is, people respect. When there’s no leaders, people run around like animals,” was Mr Tagobe’s summary. “Now the local police, they can be able to perform, but they’re waiting for orders to come. They can’t just go in and conduct raids and go into the fighting zone without any orders from the hierarchy,” he said. 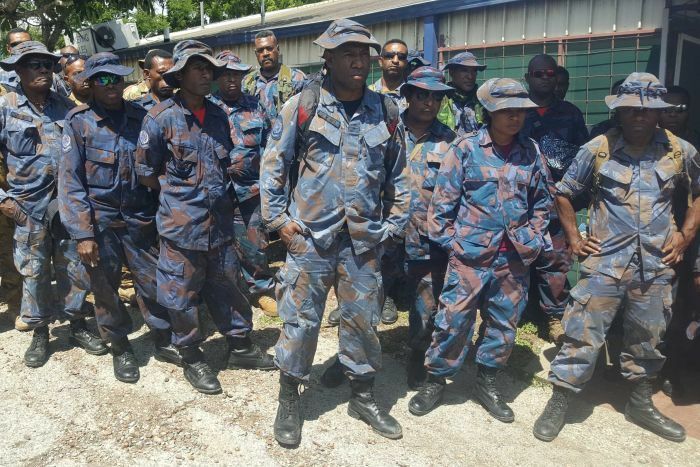 Police operations commander, Assistant Commissioner David Manning, said Hela people had lost confidence in the region’s governance, and that needed to be restored in order to end lawlessness. “Over the years the thinking of the people of Hela has been that the national government has abandoned them, has really not given much focus on addressing some of the socio-economic challenges that the people face up here,” he said. Part of the resentment that exists in Hela stems from the perception among of communities in the LNG Project area that promised benefits from this massive commercial venture have not materialised. While their grievances have tended to be with government rather than developer, landowners mounted various protests last year, demanding outstanding project payments, and greater share of equity in the project. Both police and local authorities deny that the tribal fighting is directly related to the LNG project, yet the project’s footprint, and expectations surrounding it, remain important and potentially epxlosive in Hela. Mr Manning said that ending the fighting was a huge task that wouldn’t be completed quickly. Hela provincial government officials said the security forces callout had sparked constructive peace talks between warring tribes, and they were hopeful of a lasting settlement. As PNG’s five-yearly general elections are due in mid-2017, it’s likely the government will maintain a boosted security forces presence in Hela. With unrest around polling having hampered previous elections in parts of the Highlands, prime minister Peter O’Neill has indicated that security around the upcoming elections will be a priority. However, people in Hela are concerned that settlement of tribal fighting may collapse after the polls. James Komengi has been involved with the Ambassadors for Peace programme which was instrumental in the signing of a peace agreement between 32 warring communities in Hela region in 2008. He said that since then none of the communities had resorted to violence. Mr Komengi said the programmes which civil society facilitated have brought warring tribes together at workshops to develop the skills to dialogue and understand each other as well as the causes of conflict. These workshops and dialogues were generally mediated by trained local facilitators like him. He said that peace agreements between previously warring communities or tribes were based on their own agreements, publicly declared, and monitored by facilitators. These were the types of programmes he said were needed to cope with Hela’s current wave of conflicts. 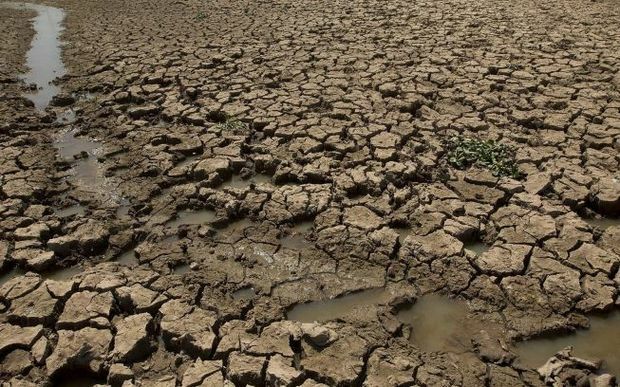 Adding to the sense of despair and frustration among people in Hela, and other parts of the Highlands, is the hobbled government response to the recent drought. Farmers and crop gardeners in many parts are still recovering from devastation caused by the El Nino-induced drought from 2015 to 2016. Mr Komengi said that in response to the drought there was little effective help from provincial or central government. According to him, government relief supplies or funds were often misused or misdirected. Now, the National Agriculture Research Institute is partnering with civil society in the Highlands to help build resilience to future droughts. Mr Komengi said that NARI has chosen the United Church to work with in Hela because it led the drought impact assessment and response programmes. The notion of not waiting around for government to help, but instead of getting on with a community-driven response, has gained currency in PNG’s Highlands. But taking matters into one’s own hands, particularly where justice is concerned, is also at the heart of the tribal fighting problem.